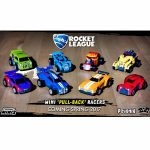 Hot Wheels Rocket League RC Rivals Set will bring the thrills and excitement of Rocket League to the real-world. We got a sneak peek at what’s new and exciting in the fantastic world of Hot Wheels at the New York Toy Fair. First, the Hot Wheels brand is celebrating its big 50th anniversary this year. Last year, Hot Wheels was recognized as the #1 Selling Toy in the World based on units sold. The brand has continually evolved over the years and now Hot Wheels is racing into the digital era. 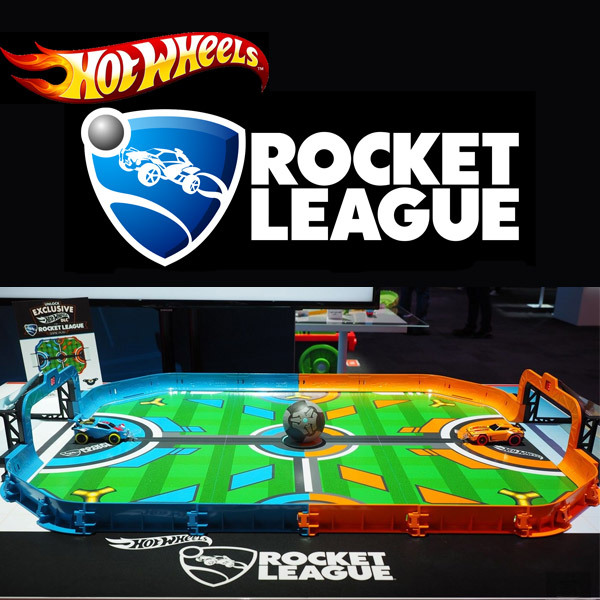 Check out Mattel’s new Hot Wheels Rocket League Game at New York Toy Fair! 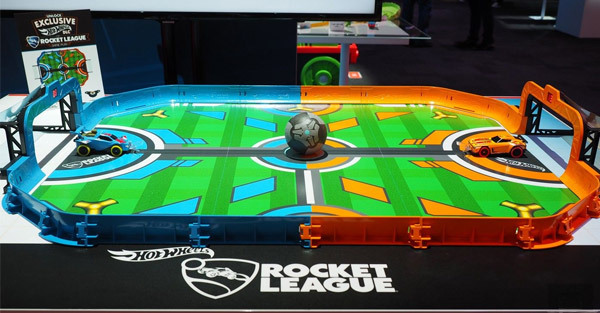 Mattel had on display an early prototype of a physical recreation of the immensely popular video game Rocket League. 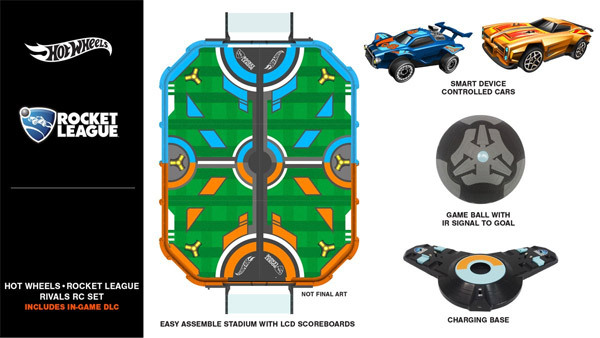 Hot Wheels and Psyonix’s latest partnership is bringing the Rocket League action to life, merging the two popular brands into one exciting product that merges physical and digital play. 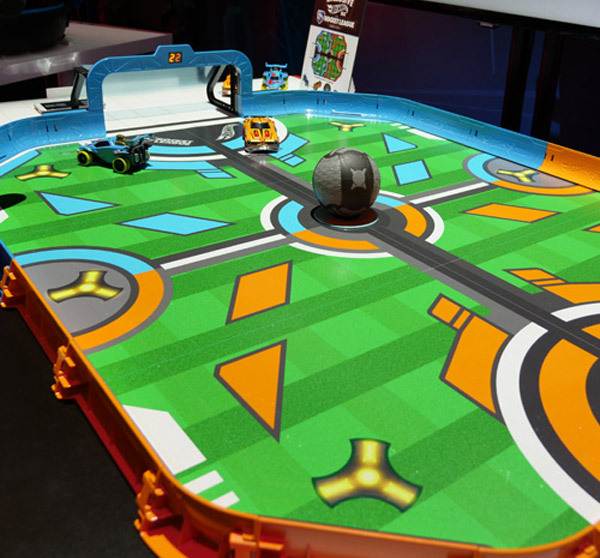 Tentatively known as Hot Wheels Rocket League RC Rivals, the prototype at Toy Fair featured a vibrant Rocket League stadium complete with working LCD scoreboards, two smart device-controlled Hot Wheels Rocket League RC vehicles, an IR game ball, and a charging base. 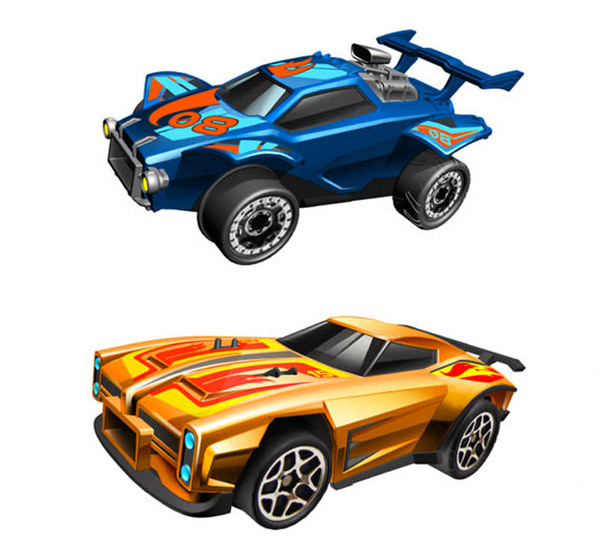 Included with the set are Octane and Dominus, the Rocket League battle cars, which connect to your smart device via Bluetooth and can then be controlled wirelessly via a smartphone or tablet. The cars are meticulously detailed and look straight out of Rocket League. The coolest part? 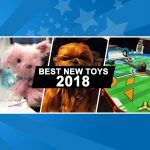 We got to experience it hands-on at Toy Fair, and we must say based on our first impressions, it was truly incredible. Were we not on a tight schedule, we probably could have played all day long. Although it was in the early prototype stages, we really enjoyed playing it. Overall, it felt like it was not very far from a completed production model. We were really blown away by the accuracy and precision of the vehicle controls. The core sense of competitiveness of Rocket League was present and the stadium was beautifully constructed to replicate the in-game experience. Players control the two vehicles via Bluetooth with two smartphones – one for each player. You’ll need your own smartphones, as they are not included in the set. The controls are simple and basic for even younger players to enjoy. It is setup like RC controls with up and down and left and right controls as well as a Turbo boost button for a mad dash toward the goal. 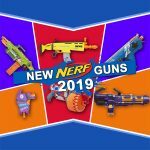 The final version will feature “a much sexier interface,” according to Jason Chen, one of Mattel’s engineers working on the project. What’s really cool is that the game keeps track of the score for you with two built-in LCD scoreboards. The game uses IR sensors to accurately determine whether the ball has scored or whether a car has simply passed through the goal. So you don’t have to worry about false goals. Watch out, because just like in the real game, as you’re battling for position, you can score a goal for your opponent as the ball rolls around the stadium. 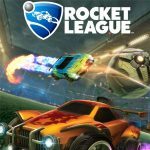 As an added bonus, the game will also feature in-game downloadable content for use with the Rocket League game. This is a game that has universal appeal that both kids and adults can enjoy. It’s perfect for bringing the family together during family game night for some competitive fun. It truly brings the fun and joy of playing Rocket League to life like never before! On a fifteen minute charge, players get roughly fifteen minutes of playtime. Additional Hot Wheels Rocket League-themed cars could be released in the future, although this has not been officially confirmed. That could mean a royal rumble with up to four players in the arena at once for total mayhem. After playing with the real-life Rocket League game, we came away very impressed. 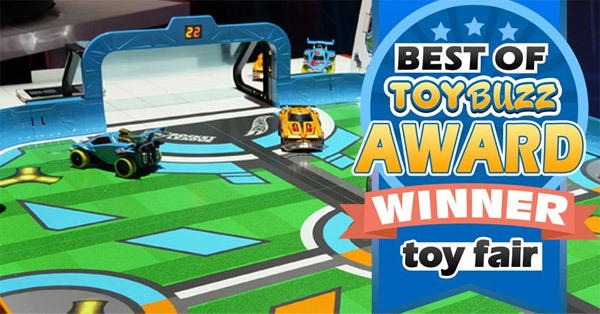 In fact, our editors were so blown away that we awarded Hot Wheels Rocket League RC Rivals with our prestigious Toy Buzz ‘Best of Toy Fair 2018’ Award. 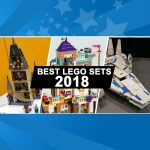 We genuinely believe that this was one of the best experiences at Toy Fair, standing out from the legions of toys (hundreds of thousands) showcased at Toy Fair. It was incredibly fun with a ton of replayability, making it well worth the price of admission. We can foresee kids having all sorts of exciting, fun-filled tournaments with friends and family. It’s a fantastic convergence of brands – Hot Wheels and Rocket League – as it’s truly a match made in heaven! Fans can look forward to playing Rocket League in real life this fall when it hits retail shelves. 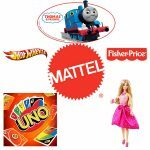 According to a Mattel spokesperson, it’s expected to be ready in time for the holidays – available sometime by either November or early December. However, it won’t come cheap at $179.99, but trust us, it’s totally worth every last penny. We suggest you start saving up now because the experience is truly mind-blowing. We genuinely believe it’s going to be one of the must-have gifts for the holidays even at this price point.